A Year on from Brum…2013 graduate Sapna Patel tells us about her internships and new job! A year ago, life seemed so different: I remember this time last year I was stressing (like every other final year student) about our upcoming exams that were to take place in 3 days’ time. As well as cramming every quote, date, and title I could possibly fit into my brain about Visual Representations of the Body, 16th Century Venice, and Interiors and Interiority, there was also the worry about what I would be doing work-wise after exams were finished and university was officially over. I’m pretty sure I wasn’t the only graduate panicking over this, and after attempting to secure an internship during my final year, I finally decided to let go and just focus on my exams which were only going to happen once. However that worry about what I was going to do career-wise just wouldn’t go away and luckily, whilst on a quick revision break on Facebook (typical!) 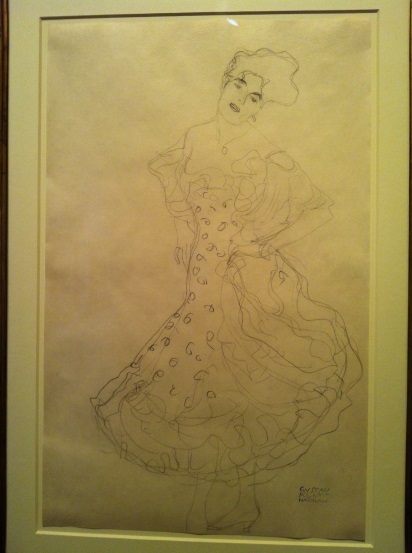 I saw a post on our History of Art page about an opportunity to work at Sotheby’s Institute of Art. After reading up on the role, I realised the deadline wasn’t till the end of May so I made a mental note to go back to this once my exams were done. With exams finally over, and after having too much fun at Refreshers, I went back to the application. I wasn’t really expecting to hear back or get through to an interview but surprisingly received an email whilst on holiday asking if I could attend an interview that week. I returned from my holiday early and went along feeling very hopeful and so was ecstatic when I was offered an internship with the Careers Department. My first day was the next week! I commuted from Birmingham initially until I moved back home and started the long trek of a commute from Lincolnshire. Besides the 5.30am starts, and the returns at 8.30pm, my three months in the summer were extremely glamorous and I thoroughly loved working for a company that trusted me to get involved in as much as possible! 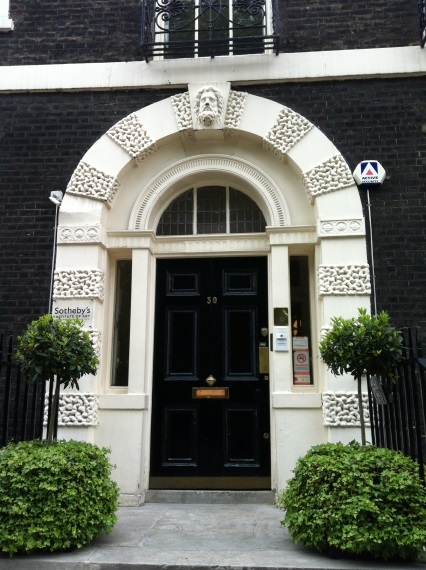 Working in the beautiful surroundings of Bloomsbury, I was always on the go, going to different places or working with different departments. My line manager, Christina, was very supportive and encouraging to work with and from my first day I was already placing orders for all sorts for upcoming corporate art events without her permission! My first day also involved going to Somerset House to plan last minute things for a talk that was occurring that very evening. I then soon found out that I would be representing Sotheby’s Institute at Masterpiece London 2013, a prestigious luxury arts fair set in the South Grounds of the Royal Hospital in Chelsea. Working for Masterpiece was certainly eventful. Running around London, I always had my hands full, from curating our stand, to networking with galleries and art dealers at the fair, and teaching and inspiring young school children about art and antiques, something that certainly tested my patience! 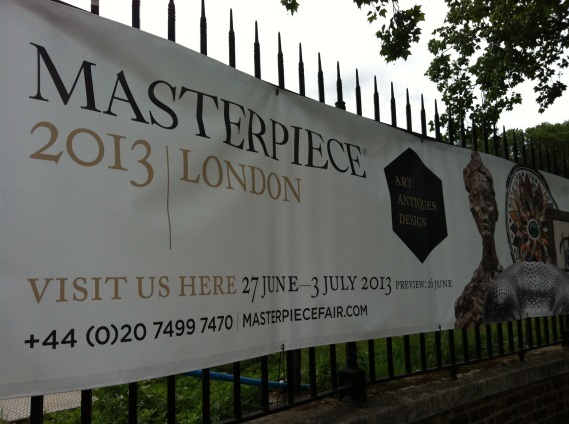 Networking with other galleries was my favourite aspect of working for Masterpiece. I loved seeing galleries dealing with the works of arts that I had specialised in during university and discovering new contemporary pieces that were unfamiliar to me. 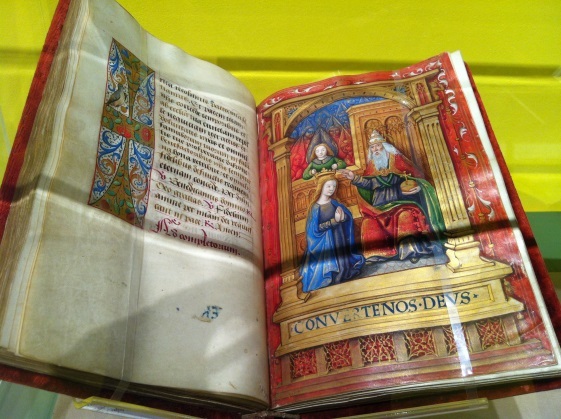 Having studied Books of Hours and illuminated manuscripts during my second year, I was delighted to see Les Enluminures at Masterpiece who displayed an array of manuscripts and miniatures from the Middle Ages and Renaissance. 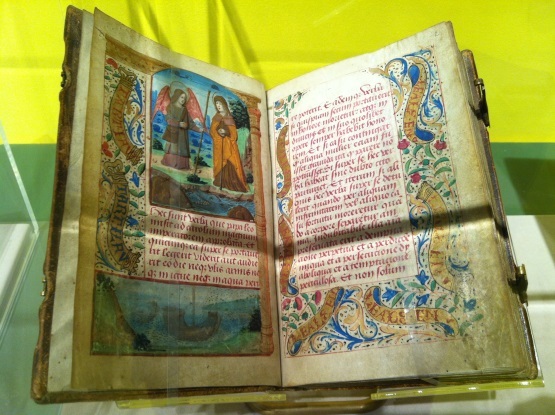 I was fortunate enough to handle a Book of Hours and was astonished at its excellent condition: the pigments and quality of the illuminated designs were still in such a good state. Working as a Careers Intern, I assisted with graduate recruitment on a global basis, specialising in the arts and business market, a field of work I did not know much about initially. I was amazed to discover the numerous career paths a History of Art graduate could pursue from working in established galleries, and reputable auction houses, to working on a freelance basis and even working with finance and wealth management with a focus on art. It’s great to know all this is possible with a degree in History of Art – it just goes to show, as long you show your passion and dedication for a certain career, anything really is possible. Most recruiters will look at the skills you’ve acquired during your degree such as analysing texts and being able to put together a coherent argument through your essays. They’re also interested in initiative and innovative methods of researching that you employ for long pieces of work such as your dissertation. I certainly learned a lot during my three-month internship, from being able to sit in the library reading and developing my knowledge about the History of Art, to attending networking events with employees from the major three auction houses (Sotheby’s, Christie’s and Bonham’s), and working with our office based in New York. I also learnt about parts of the world that are only just emerging in the contemporary art scene such as India (a country close to my own heart, ethnicity, religion and culture). I was really pleased to be able to network with Neha Jaiswal, a contemporary Indian art curator whose work combines traditional Indian art with a contemporary twist. 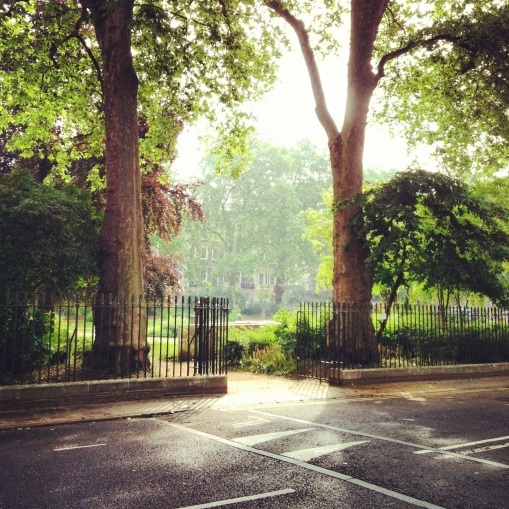 And of course there were the gorgeous summery walks from Kings Cross Station and the buttery croissants I consumed every morning…! Through this placement, I was able to begin my dream of working in London and I can definitely say this internship gave me the right start I needed in building my career. I was in fact offered the opportunity to extend my internship for another three months at Sotheby’s but I was fortunate enough to gain a six-week position as a Gallery Invigilator and Exhibition Assistant at Richard Nagy Ltd on Old Bond Street. This job really appealed to me as the works Richard deals with in his private gallery cover those areas of art I had specialised in at university, especially on Camilla’s second year module on Fin-de-Siècle Vienna. I owe so much to Camilla’s fantastic course and being able to draw on everything I learnt from the module in my interview with Richard and his fellow Gallery Director, Nina. Working in Mayfair was another great experience: walking through the Burlington Arcade every day and past all the big labels is every girl’s dream! 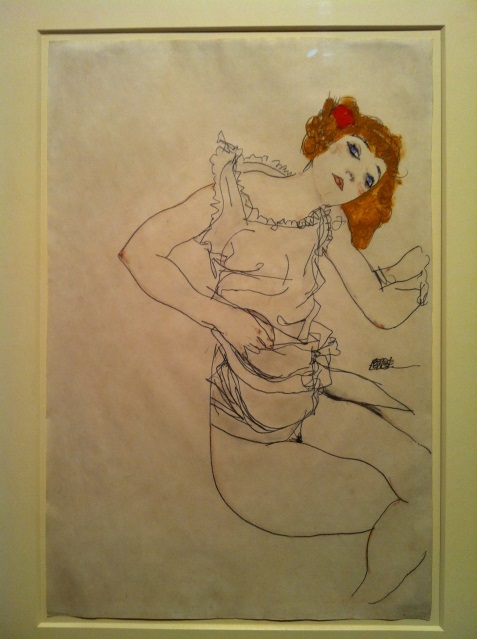 The gallery itself is small and intimate and specialises in the works of Egon Schiele and Gustav Klimt. The gallery also handles German Expressionism: Die Bruecke, and in particular Die Neue Sachlichkeit, as well as more recent British artists of a related sensibility like Spencer, Bacon and Freud. 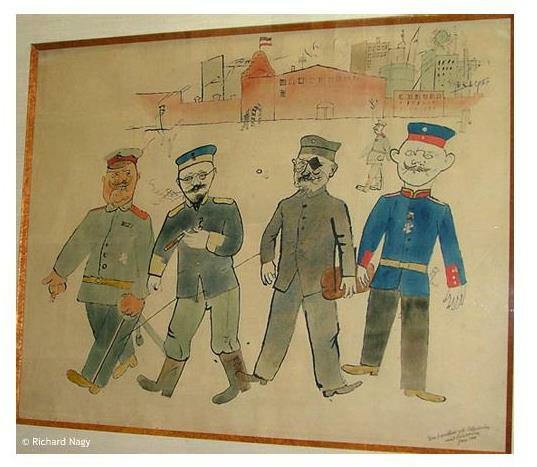 In addition, Symbolist artists such as Redon, Ensor and Kubin, are also frequently available. The gallery also handles many artists in the modernist canon. 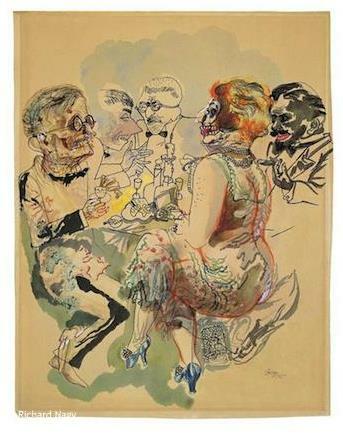 The gallery hosts an annual exhibition, such as the 2013 one on Georg Grosz entitled ‘George Grosz. Berlin. 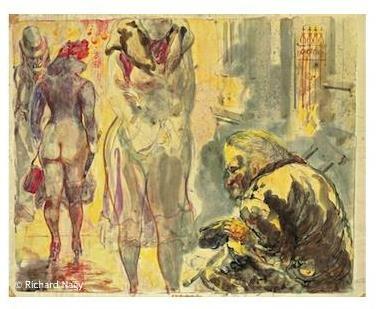 Prostitutes, Politicians, Profiteers’ I was very excited to be working with works of art that I’d learnt and studied closely at university. My role at Richard Nagy Ltd was highly varied so as well as working on the gallery floor as an Invigilator, I was also involved with working in the gallery’s office updating and maintaining the company’s client database, handling client money, archiving works and preparing sales reports for any paintings that were to be exhibited and sold at upcoming art fairs. Whilst working at the gallery, I was fortunate enough to participate in the PAD Art and Design Fair on Berkeley Square during London Art Week where the gallery had its own stand selling an array of its paintings. 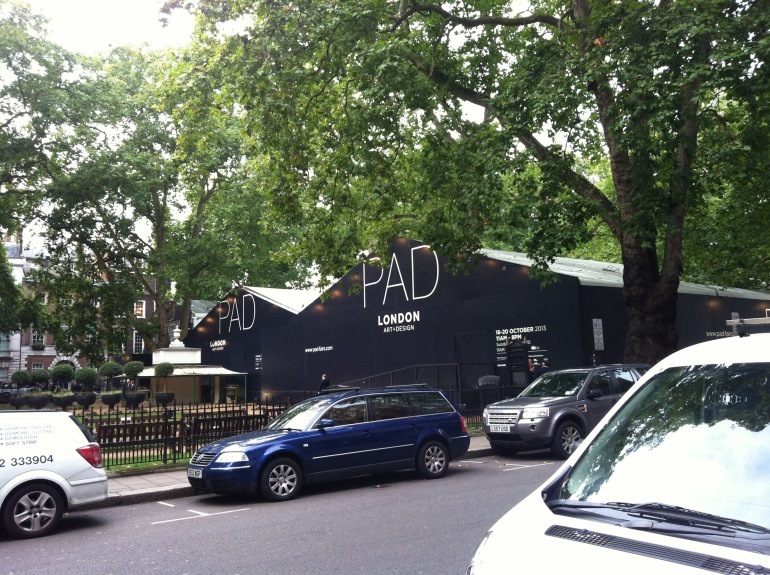 I was able to work at PAD both independently and with the directors in organising client appointments for those interested in making a sale. Lastly, I was responsible for selling exhibition catalogues in order to raise as much money possible for a charity the company strongly support, Global Witness, and was able to raise £7,070. I was genuinely sad to be leaving this post but am pleased to say I still keep in touch with the gallery and would highly recommend people visit it. The gallery has rare drawings and paintings by numerous artists and I found it really interesting to see their works in this setting. Since leaving Richard Nagy Ltd, I have been busy working as a freelance artist and am excited to be appearing in a local art event and hopefully will be able to sell some of my own works! I am also currently training for Race for Life and will be running the 10K which I am both terrified and excited about! I’m ending this blog post with a bit of a twist since I have just secured myself a place on a graduate scheme ago working in a field very different to the those I have just described. I am excited to be starting my post at Corporate Executive Board as a Graduate Associate working in Key Strategic Accounts. History of Art really does open up many doors! In fact, my interviewers both studied History and Modern History at university so I feel really reassured about starting this post even though I didn’t do a numerical degree. I look forward to building and shaping my career within CEB in Finance and Accounts, where my role will focus on working with internal stakeholders across the globe, working with the company’s grand client portfolio, including large pharmaceutical companies, and finalising contracts with them. Indeed it is the complete opposite to what most History of Art graduates are thought to pursue but it goes to show that the skills we learnt during our studies mean it really is possible to go into numerous areas with this valuable degree. For students who are unsure of what career field to go into, I’d advise you to look into all sorts of options and see what works out for you. I’d recommend applying for internships to help build your work experience and CV and not to be afraid of pursuing your instincts or changing tack: believe you can excel and any career opportunities out there are yours!